and usually a date stamp e.g 01/2013 although some earlier models used number codes as well (Please note that earlier Valves have San Marco stamped on them but whether SMR or San Marco, the same valves apply). These numbers / dates is not sufficient to identify which SMR valve you have. 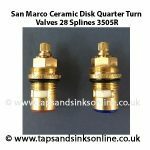 If you send in a picture of your TAP we might recongise and identify WHICH San Marco / SMR valve you have, but the more information you can send at the same time, the quicker it is for us to identify which Spare Tap Part you need. If not, then we would need to see pictures of the Valve itself plus the measurement of the Valve from Top to Bottom (Brass). Note: please ensure that you try and take as accurate a measurement as possible. We frequently get pictures of the valve beside a measuring tape but this means that we are still trying to guess the height. 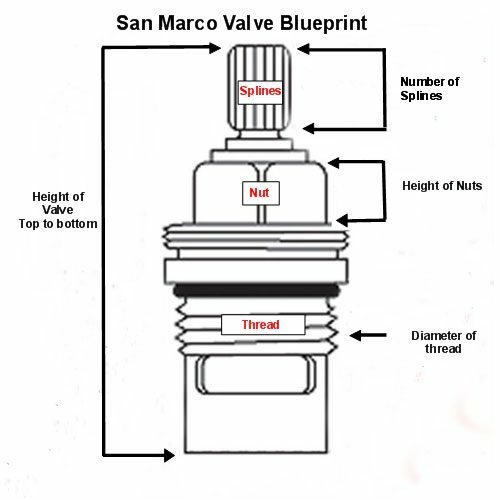 See below for the most common SMR valves that you can check your own valve against once you have removed your own valve and taken the measurements. HI Cliff. I emailed you. 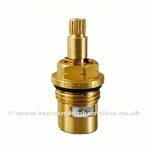 For ease of reference, if you don’t know which Franke Tap you have, here is the Franke Spare Parts section which shows every Tap by image for spare parts that you might be able to identify quickly yourself, and then the Valve specific to that tap will have a link to the Brass Bush (should you require it). 1) Picture of your kitchen tap. Please make sure to send a picture (or pictures) of your complete tap in such a way that we can identify it. Sometimes we receive pictures taken at angles or in poor lighting that make it impossible to identify the tap. 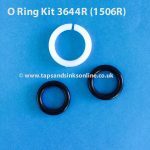 Difference between some taps can be subtle but It can make all the difference when it comes to identify the correct spare part ! If you have a filter tap then please read this post. 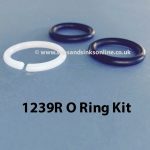 It will help you identify the correct tap as some of the Triflow taps and Filter flow Taps are very similar but have completely different parts. 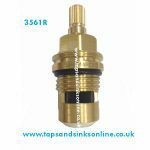 This Franke Tap Spare Parts Guide Section here contains many blog posts to fix the most common Franke tap enquiries that we receive and might be very useful as well as your own tap could be listed there with the answer for you. My mythos tap is leaking on the cold side. The valve is stamped smr01/12. 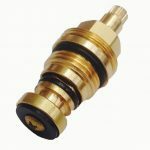 Can you please tell me what to order to replace the valve. Dear Colin, here is the link to the Mythos Valve. If you click on this link here it will take you into the Valve to purchase it. 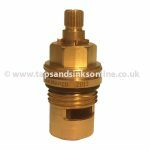 You need to order the Cold Valve for £14 and you will receive an SMR valve. 02/12 is just the date of your SMR valve. 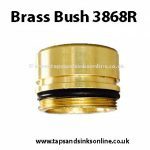 Please ensure that you read all the additonal information on the brass bush which costs £10. Thre brass bush is cylindrical and sometimes when you remove your valve, this comes out as well. 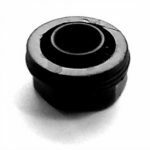 If your valve and brass bush cannot be separated then you will need to order a valve and a brass bush. 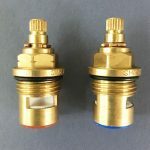 The same Brass Bush is used on both the hot and the cold side (one brass bush per valve). 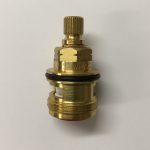 If you are ordering the parts and waiting on a plumber to remove, then you might be advised to order the brass bush as well as valve and return to us within 28 days for a full refund excluding shipping charges if it is not required. That way you will have all the parts that potentially might be needed when the plumber comes. 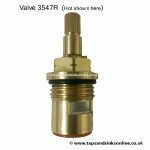 If you are doing it yourself there is a guide on the valve link 7 easy steps to replace kitchen valve that should assist you and then you can check your own valve (and whether you might need a brass bush) prior to ordering. Our shipping and returns details are on the product details. Hot tap is dripping. Ceramic is marked SMR 06/11. Please advise corresponding Part no. Hi there, if you read the blog that you have posted in underneath , you will see that 06/11 is only a date stamp. 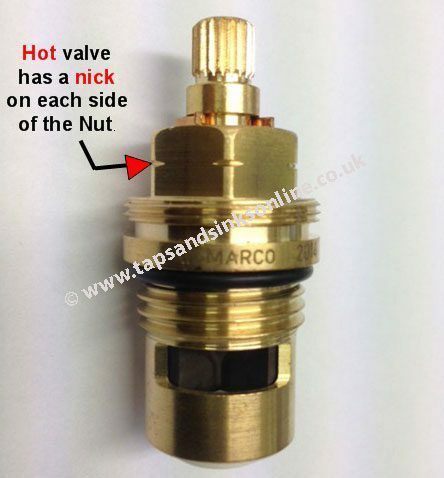 As per the blog at a miniumum we need a picture of your own Tap and a picture of your own Valve to identify WHICH SMR Valve you have.